On one hand, you know she'd be easy to bone cuz she's clearly up for anything, but on the other hand those lederhosen look really hard to get off. With those leather mittens, I'd be worried that a hawk was about to swoop in and land on her arm. they look like scary pig hands. 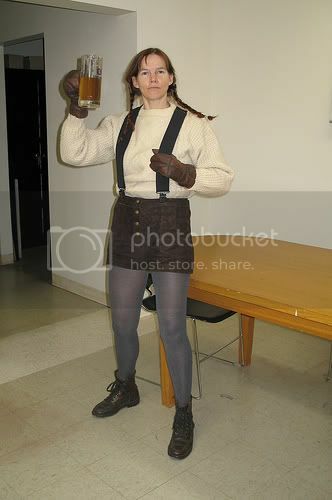 Either she's dressed for Oktoberfest, or that's the worst Tifa cosplay I've seen in years (not counting Fat Tifa).